When it comes to yakitori (Japanese grilled chicken), Nagato boats the greatest number of yakitori shops per 10 thousand residents in all of Japan. We'll share with you all you need to know about how to enjoy Nagato-style yakitori, not found in other regions, here in this yakitori paradise! 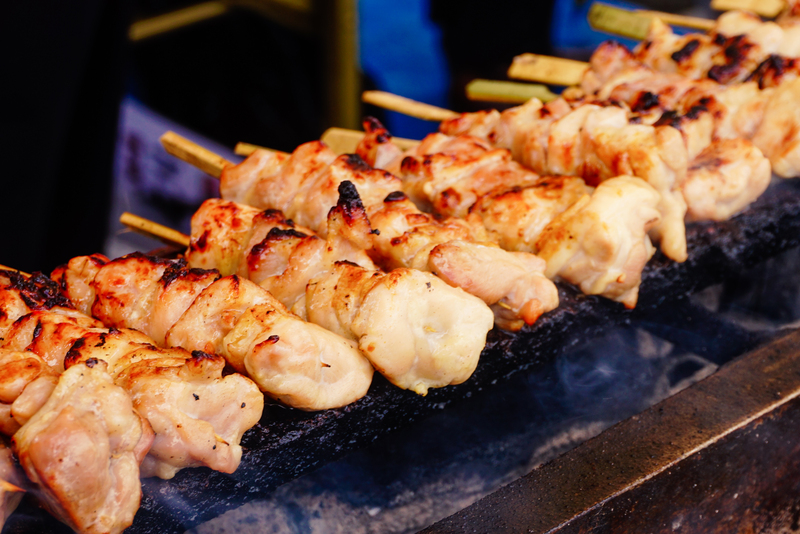 Yakitori is a dish of chicken, cut into bite-sized pieces, which are then skewered and grilled. In Japan, it’s common to have yakitori when you eat out at Japanese-style bars or pubs known as izakaya, but here in Nagato City, the roots of yakitori culture are so deep that people head to the supermarkets to purchase the chicken laid out on display, and bring it home to grill it themselves. How did Nagato come to be "the Yakitori Town"? Yakitori has such roots in Nagato because the sea is so close. 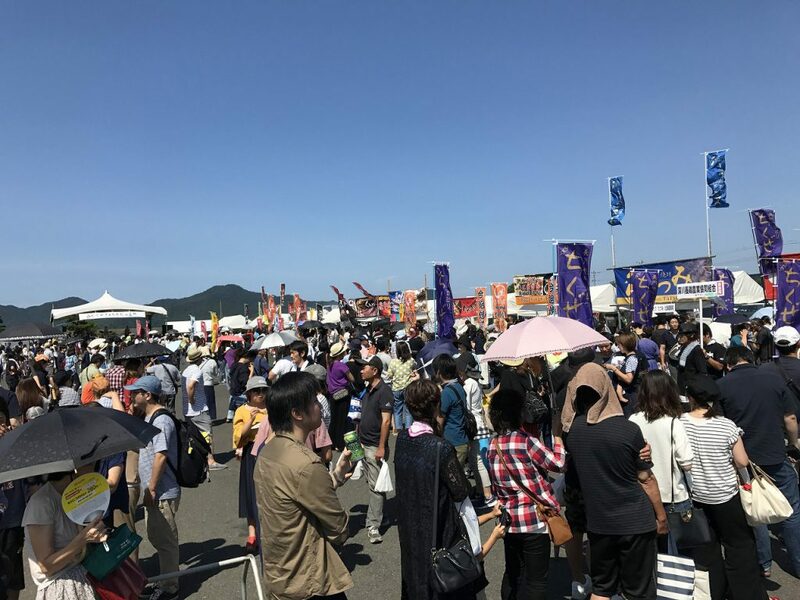 The processed seafood industry here is prosperous, especially with regard to another of Nagato’s specialities, “kamaboko,” which is made from minced white fish meat. These fish cakes were often given as a gift in old Japan. The boom of the processed seafood industry meant that the remains of the catch were plentiful and cheap, which in turn helped the poultry industry to prosper. Nagato boasts the largest production output of broiler chickens in Western Japan, as well as the unusually specialized Fukawa Poultry Farming Cooperative. 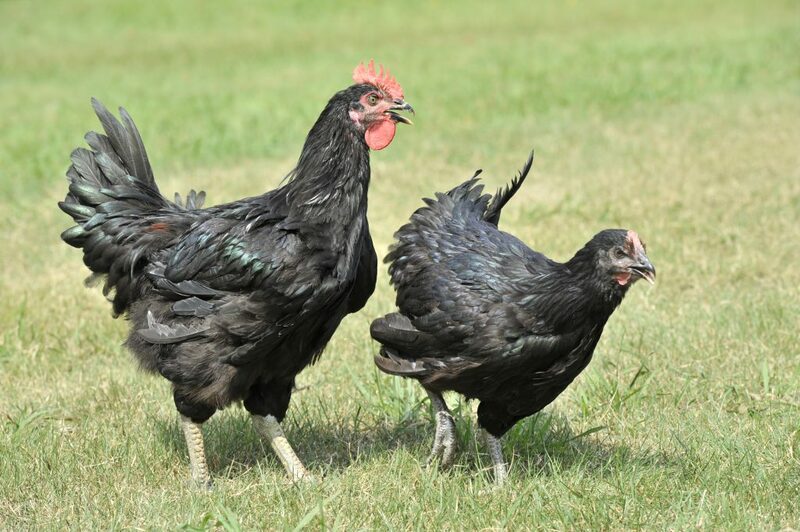 It’s also the reason that it’s easy to find fresh chicken meat from such prized breeds as the Choshu-dori and Choshu-jidori. Its meat has a slightly sweet, fattiness to it, with just the right amount of chew. Yakitori in Nagato is so fresh, you can have grilled yakitori skewers in the evening fresh from that very same morning. Eating yours with salt alone is best! garlic powder and other spices. Add them as you like to create your perfect flavor. Try it first with only salt! Afterwards, try a little garlic powder or spices to find the flavor you like best. Another way of enjoying your yakitori is by interspersing the chicken pieces with scallions (“naga-negi”) to create a “negima”…but not in Nagato! In Nagato, onions are used between the other ingredients instead. A plate that includes shredded cabbage is also Nagato-style. Here, the yakitori is accented with onions and cabbage! Yakitori restaurants here are somewhat unusual in that their menus often feature much more than just yakitori. 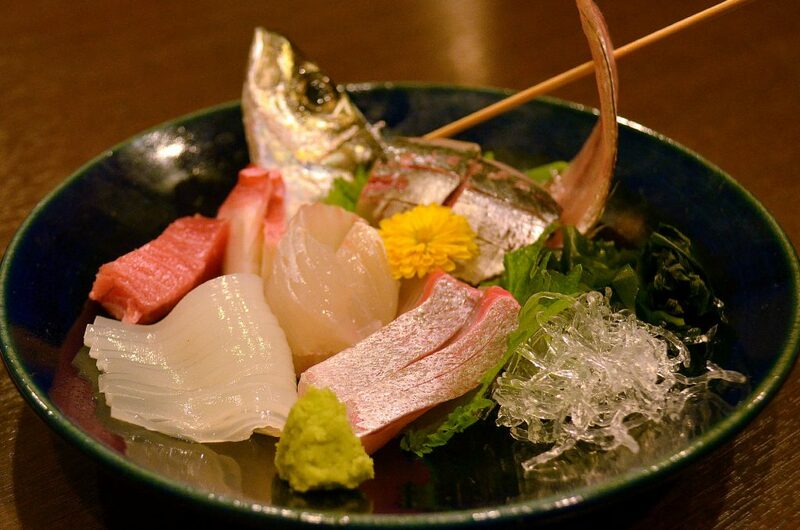 Many menus also feature fresh local sashimi, dried fish, and other seafood. 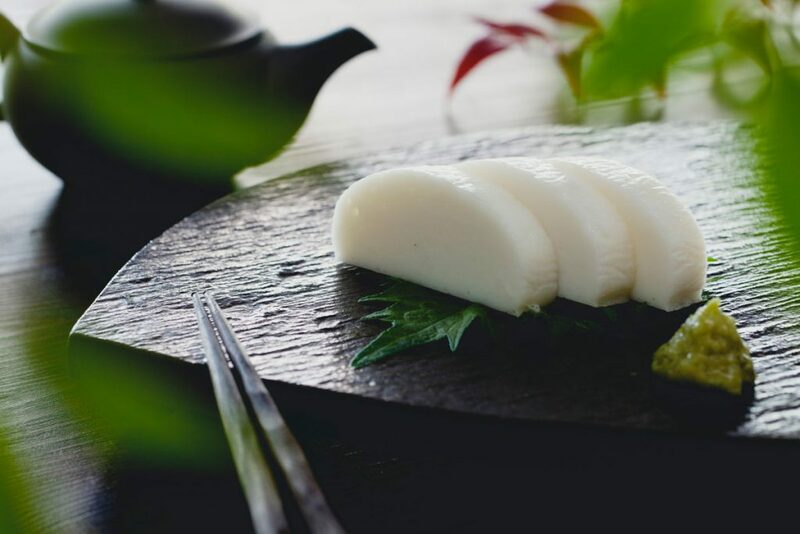 With its location right on the Sea of Japan, Nagato is a wonderful place to taste some unique seafood. Don’t forget about the flavors of the sea! 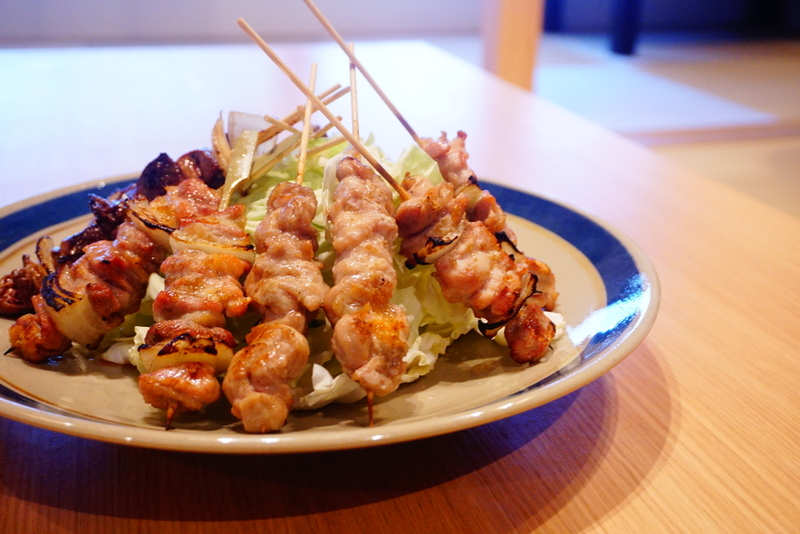 How do you feel about Nagato-style yakitori? Yakitori itself is a common dish in Japan, but the menus here are full of different options, and seasoning tastes vary from person to person.With so many options, you may be wondering about the best way to enjoy your yakitori. Since this is a common question amongst Japanese people as well, we’ve gone to the experts, to ask one of Nagato’s own yakitori-grillers! Question 1: Is it alright for me to eat the yakitori right off the skewer? Some people eat their yakitori on the skewers, while others take it off first. I think many people remove it from the skewers because it’s difficult to eat, but I’ve also heard customers chastizing people, saying, “It tastes better when you eat it just as it comes, don’t take it off!” Which way is really the best way to eat your yakitori? Question 2: In what order should I eat? Of course, you can always eat things in the order that you like, in the order of the foods you like the most, but since we’ve got an expert here, let’s ask and find out. With a menu this long, consider this advice when choosing the order of dishes, and really bring out the deliciousness in your yakitori experience. Question 3: What kinds of yakitori are there? There are many parts to a chicken, and that means many varieties of yakitori, too. 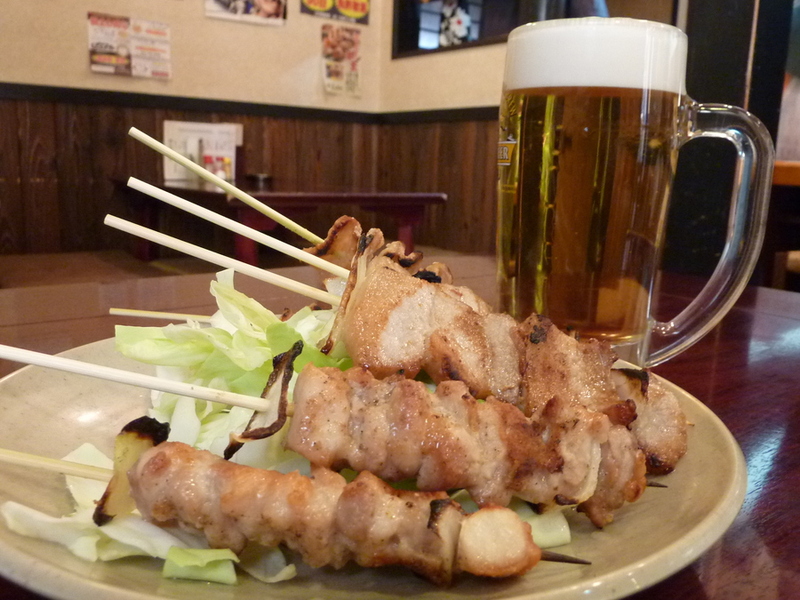 In one yakitori restaurants in Nagato, there are as many as 40 varieties to choose from! Take a look at the video below, for some suggestions on different meat to use. Some may even be a bit hard to find in other countries. Question 4: How can I grill amazing yakitori? The key to making truly delicious yakitori is the amount of heat applied to it. The trick is to reach a texture not too hard, with just the right amount of fat. We asked a yakitori professional for a few pointers. 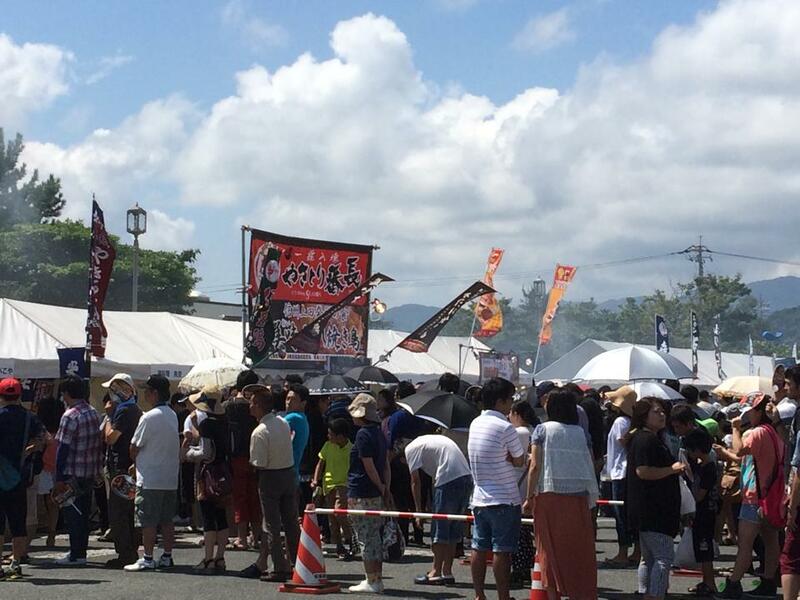 As “the Yakitori Town,” Nagato also hosts many yakitori events! Try some yakitori when you come to Nagato! Hungry for a taste of some yakitori yourself? The restaurants that appear in the videos above all over mouth-watering products. 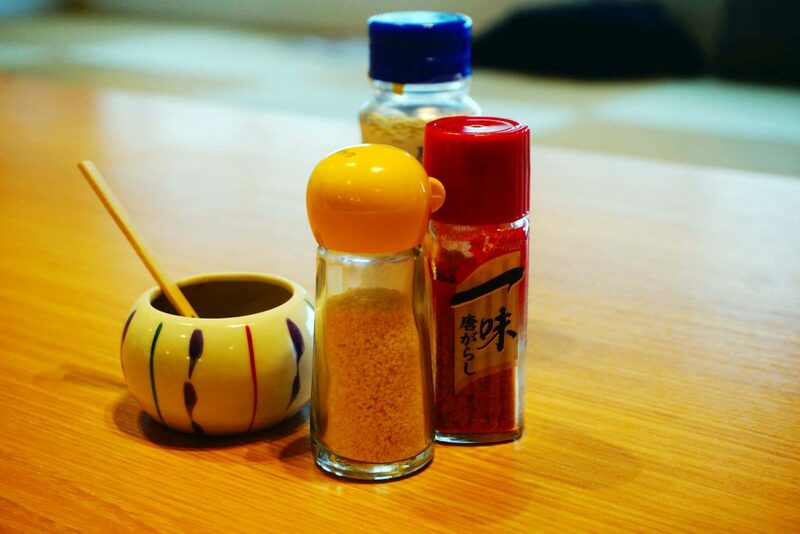 Make sure you don’t miss out on a taste of yakitori on your next visit to Nagato!